Did you know that the National Maternal and Child Oral Health Center reports that dental care is the most neglected type of care for special needs kids? Good oral health is crucial for every child to lead a happy, healthy life, and regular checkups with a children’s dentist in Birmingham are one of the best ways to achieve that. They not only keep your child’s teeth healthy now, but also minimize the dental work they’ll need later. What’s the first step? Choosing a well-qualified pediatric dentist to make sure your child gets the best care possible. 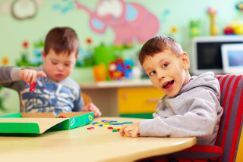 Keep reading to find out what to look for and why our practice is uniquely qualified to help special needs kids achieve healthy smiles! To have the right training and experience to address your child’s unique needs, a dentist needs to have advanced education beyond dental school. Although a general dentist can call themselves a pediatric or children’s dentist, you can’t be sure of their credentials and training unless they specifically state that they’re board-certified. What does this mean? First, it tells you that a pediatric dentist has completed an additional 2 years of training in a pediatric graduate program after dental school. In addition, they’ve also passed a written exam and oral clinical exam, and have to renew their certification each year to demonstrate continued competency. Ultimately, this advanced training leads to higher quality, kid-friendly dental care for your child! Dr. Rohner is not only a board-certified pediatric dentist (and also a mother of four), but has always been passionate about caring for special needs children. After getting a Bachelor’s degree in early childhood development and education, she taught special education for two years before deciding to become a children’s dentist. As part of her residency, she also completed a Fellowship in Interdisciplinary Medicine serving patients with special needs. And, last but not least, Dr. Rohner is KultureCity Inclusive Certified. This means she’s had sensory initiative training to recognize any signals that her patients are experiencing sensory distress and effectively respond to them as soon as possible. Cavities and many other oral health problems are largely preventable. Finding a dentist you trust and getting regular care for your child is one of the best ways to minimize dental pain and problems down the road! 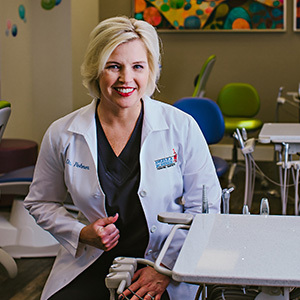 Dr. Angelica R. Rohner is an award-winning, board-certified children’s dentist in Birmingham. With years of experience and advanced training, she and her staff are able to provide outstanding dental care for every patient in a friendly, comfortable atmosphere. If you have a child with special needs and have any questions, she can be contacted via her website.